Spurs are the only Premier League team not to have lost since the opening weekend (W3 D4). 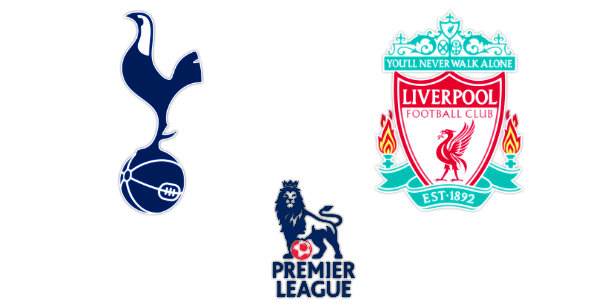 Liverpool have won five successive league games against Spurs for the first time since 1976; this is the 145th league clash between the sides but neither has ever won six in a row. The last time Spurs lost six consecutive games against the same PL opponent was against Newcastle United between 2006 and 2008. Gerard Houllier is the only Liverpool manager to win his first Premier League game in charge at the club (2-1 v Southampton in 1998, he was joint-manager with Roy Evans at the time). Tottenham’s last five Premier League home defeats have all been by a one goal margin; the last team to win by more at White Hart Lane were Liverpool (3-0 in August 2014). Since his Premier League debut in Sept 2013, Christian Eriksen has scored more direct free-kicks than any other player (6). Liverpool have scored exactly once in eight of their last 11 league matches. Daniel Sturridge scored three times in five PL games against Spurs before moving to Anfield but has failed to net in four appearances against them for the Reds. The Reds have only won one of their last nine Premier League away games (D4 L4). Roberto Firmino has had five shots in total in the Premier League and has hit the woodwork twice. Jose Mourinho has never lost successive home league games as a manager. Aston Villa have lost four Premier League games in a row by a one-goal margin; no side has ever done this in five consecutive matches. 12 of the 23 teams to be 16th after eight Premier League games (as Chelsea are now) have been relegated, while no side has finished higher than fifth (Everton 2008/09). Chelsea have conceded at least two goals in seven of their eight Premier League games this season (the other game was a 2-0 win against Arsenal). Only Sunderland (18) have conceded more Premier League goals than Chelsea (17) this term. Branislav Ivanovic has scored five Premier League goals against Aston Villa; against no other side has he netted more than twice. Ivanovic has scored 20 PL goals in total; only one player with 20+ goals in PL history has scored a higher percentage against one club than he has v Villa (Ivanovic 25% v Villa, Luke Moore 30% v Middlesbrough). Villa have not kept a PL clean sheet at Stamford Bridge since March 1998, conceding 30 times in their last eight at the West London venue. Tim Sherwood’s side have scored in their last nine away league games; the longest current run in the top-flight. Chelsea, meanwhile, have scored in their last 23 home league matches; also the longest current run of its kind in the Premier League. The last time that Crystal Palace had more points after eight games in a top-flight season (15 this season) was in 1990-91 (16 points) – they finished third that season. Dimitri Payet has had a hand in 14 goals (five goals, nine assists) in his last 16 league appearances (Premier League and Ligue 1 combined). Alan Pardew has won 58% of his PL games as Crystal Palace manager; he won just 36% as Hammers boss between 2003 and 2006. Both meetings between these sides last term ended in 3-1 away wins. Marouane Chamakh has scored both of Crystal Palace’s goals in this exact fixture in the last two campaigns, against the side he spent time at on loan in 2013. 15 of the 18 goals in games featuring Crystal Palace this season have come after half-time (both scored and conceded). No player has made more interceptions this season than Yohan Cabaye (30, level with Jordan Amavi). West Ham, unbeaten in four on the road, have not gone five Premier League away games without defeat since January 2009 (7). The Eagles have alternated between victory and defeat in their last six home league games; they beat West Brom 2-0 last time at Selhurst Park. West Ham have the best shot conversion rate in the top-flight this season (23%). Romelu Lukaku is one of only four players to score a Premier League hat-trick against Manchester United (Bentley, Kuyt, Eto’o). Anthony Martial has touched the ball in the opposition box more often than any other Premier League player this season (every 9.2 minutes, minimum of 90 minutes played). Everton are the only Premier League side yet to score from a set piece this term. Wayne Rooney has not scored an away PL goal since last November (17 games without one) and has not scored at Goodison Park since April 2007 (six games). Roberto Martinez’s side have only won one of their last six at Goodison Park (D2 L3). Everton have won three consecutive home league games against Manchester United, keeping a clean sheet in each victory. They had won just three of their previous 20 at Goodison against the Red Devils in the Premier League before this. The last team to win four consecutive home league matches against Man Utd was also Everton (1984-1987) and the last team to do it without conceding was West Brom (1976-1979). Louis van Gaal (8/23) is still two short of the number of PL away wins recorded at Man Utd by David Moyes (10/18) despite managing five more games on the road. Gareth Barry will become only the second player to make 550 Premier League starts if he is named in the eleven in this game (David James 571, Barry 549). The Red Devils have won their four league games this season when Bastian Schweinsteiger has not started but have won just one of four with him in the eleven (D1 L2). Sergio Aguero has 16 goals in 13 Premier League appearances in the month of October. Eddie Howe played in the last meeting between these sides; a 0-0 draw on the south coast in February 1999. Aguero now has 84 Premier League goals; the same number as Cristiano Ronaldo and Carlos Tevez. Of the four previous players to score five in a Premier League game, Alan Shearer scored twice in his next game, Dimitar Berbatov scored once while Andrew Cole and Jermain Defoe both failed to net. The Citizens have won four and drawn two of their previous six meetings with Bournemouth. Kevin De Bruyne has scored three goals and assisted two in his three Premier League starts for Man City. De Bruyne has never scored in four consecutive appearances in either the Bundesliga or Premier League. Manuel Pellegrini’s side have scored in all but one of their last 24 league games, including each of the last 17. The Cherries have now covered 944km this season; 18km more than any other side. Eddie Howe’s side have scored in 12 of their last 13 away league matches. Both meetings between these sides last season ended 2-0 to the home team with a player scoring a brace (Long, Mahrez). Jamie Vardy has scored eight goals in his last nine Premier League appearances, including in each of his last five matches in the competition. Only three English players have scored in six consecutive PL appearances this century: Michael Owen (6 in 2003), James Beattie (6 in 2003) and Daniel Sturridge (8 in 2014). The Foxes have won more points from losing positions than any other top-flight side this season (6). Saints have only lost one of their last 18 top-flight home games against Leicester (W10 D7). Leicester are unbeaten in seven Premier League away games; only once in their top-flight history have they gone eight without defeat on the road (nine in 1973). Leicester have scored and conceded in all eight of their league games this season. Graziano Pelle has missed the target from inside the box twice as many times as any other Premier League player this season (18, Gestede 9). Maarten Stekelenburg has made only 10 saves in eight games this term, that’s four fewer than David de Gea has made in half as many matches (14 in four). Sadio Mane has two goals and four assists in his last five league appearances. The Baggies have won five and lost none of their last six home league meetings with Sunderland. The Black Cats have failed to score in four of their last six trips to the Hawthorns. In their last 15 home league games, West Brom have kept eight clean sheets but conceded three or more goals in the other seven. West Brom are the only side yet to score in the first half an hour this season and are also the only side yet to net in the final 30 minutes. The Black Cats have had fewer shots on target than any other PL side this term (23). Tony Pulis has not gone five Premier League home games without a win since a run of five draws at Stoke between April and September 2012. He has never gone five without one within the same top-flight campaign. West Brom have not won any of their last nine league games in the month of October (D4 L5). Only twice in their top-flight history have Sunderland gone nine games from the start of a season without a win (10 in both 1969/70 and 1976/77). Darren Fletcher has not missed a minute of Premier League football since making his debut for the Baggies in February (2070 minutes). The last three permanent Sunderland managers have all started with an away defeat. Odion Ighalo has scored Watford’s last five Premier League goals. Petr Cech has the best save percentage in the PL this season (82%, minimum 5 saves). Watford have the lowest shot conversion rate (8.6%) and shooting accuracy (34.3%) figures in the Premier League this season. Alexis Sanchez has scored five times in his last two league appearances. Heurelho Gomes has made 14 punches this season; five more than any other PL keeper. The top two players for most sprints in the Premier League this term are Aaron Ramsey (560) and Ikechi Anya (533). Theo Walcott has 12 goals and three assists in his last 14 Premier League starts. Watford have never won a Premier League game in the month of October (D4 L5). The Gunners have won their last five meetings with the Hornets in all competitions, including all four previous Premier League clashes. Watford have only conceded three goals in their last six top-flight matches at Vicarage Road. The Magpies are unbeaten in five Premier League meetings with Norwich (W3 D2), keeping four clean sheets in the process. Norwich have never won at St James Park in the Premier League (D1 L5); only at Old Trafford have they played more often without winning (D1 L6). David Silva (6) is the only player with more Premier League assists this season than Wes Hoolahan (5). Newcastle have not scored or conceded a goal to an English player in the league this term. Steve McClaren is now without a win in 12 Premier League games (D5 L7), including spells at Middlesbrough and Newcastle. Newcastle United have won just one of their last 19 Premier League games (D4 L14). The Magpies have lost a league-high seven points from winning positions this season. Newcastle have failed to win any of their first eight league games for only the second time in their history (10 in 1898/99). Norwich are one of only three Premier League sides yet to keep a clean sheet this season (Leicester and Sunderland). Newcastle have had fewer shots (excluding blocked) than any other Premier League team this season (50, 35 fewer than Norwich). Only 14 players have started for Swansea in the league this season; the fewest of all Premier League sides. Stoke have only won one of their last 18 league visits to Swansea (D5 L12), keeping only two clean sheets in that run. Bafetimbi Gomis has been caught offside 19 times this term; 11 more than any other Premier League player. Garry Monk’s men have only won two of their last 10 league fixtures (D4 L4). Six of the eight PL clashes between these sides have been won by the home team, with the other two ending in draws. The Welsh side have not lost a Premier League home game against a team that did not finish in last season’s top seven since March 2014 (W10 D6). Stoke have not won consecutive Premier League away games since December 2011. Ashley Williams has played more minutes than any other Premier League player since Swansea were promoted to the top-flight (13,750). Andre Ayew has three goals and one assist in four PL appearances at Liberty Stadium. Ibrahim Afellay has the best pass completion rate of any player to make more than 100 passes for Stoke in PL history (92%).